Pet safety is a pretty important priority for Ellie and rest of the Elliott Roofing family. In Oklahoma, weather can change from calm to severe in what can feel like a split second. Mother Nature can easily put your animals at risk. Animals can get hurt, lost or displaced when a storm hits. This makes pet safety especially crucial during storm season in Oklahoma. During severe storms and tornadoes, pets are often left behind in the chaos and confusion. If you’re serious about your pet’s safety, you should not only have a plan for yourself, you should have a plan for them, as well. Here are tips to help you create a plan to keep your furry friends safe when bad weather hits. Knowing your pet, and the threats weather might pose, is half the battle. Be aware of the weather in your area. Stay up-to-date on your local forecast and be prepared to act accordingly to protect your pet if severe weather strikes. More than likely your pet has a favorite place to hide. Familiarize yourself with this location to better find them in the event of an emergency. During severe storms, pets can often get lost. One easy way to avoid this is making sure your pet’s information is up-to-date, their collar is secure and in the best condition possible. Tags are cheap and are generally the most common way to help you find and identify your missing animal. In addition to including your phone number, you may also consider adding the number of a friend. This can come in handy in case you’ve had to evacuate and are separated from your pet. While they are cheap, reliable and commonly used to find lost pets, collars and tags aren’t permanent. However, an option that is more permanent is microchipping. Embedding a microchip in your pet will allow them to be scanned at veterinary clinics, shelters, and pet stores. This process identifies the pet, as well as the pet’s owner. If you’ve microchipped your pet and changed addresses since the procedure, be sure and update all the necessary information to ensure you can be reunited with your furry loved one. If you have a storm shelter, great. If you don’t, you should be prepared beforehand and know where you’ll be safest during severe storms. The best places to take shelter include basements, bathrooms or small interior rooms of your home which contain as few windows as possible. Once you’ve selected your safe space, be sure and familiarize your pet with the area. The more comfortable your animal is in the space, the easier it will be to shelter them there during a storm. Just as you should have a storm kit prepared for yourself in case of severe weather, so too should your pet. While you and your pet are in your shelter, these kits will help you safely wait out the weather. A proper pet kit can include a first aid kit for your pet, necessary medications, a leash, pet food and water, food and water bowls, litter, a litter tray, disposable bags, a blanket, your pet’s favorite toy, a hard-sided crate. Many pets struggle with anxiety. One of the most common sources for anxiety in pets is severe weather. If anxiety is something that your pet struggles with, you should consult a veterinarian. Ultimately, if your pet does require medication to cope with their anxiety, it’s a good rule of thumb to medicate them before a storm hits. This can help keep them from hurting themselves or putting themselves in danger in reaction to the weather. If you’re unsure about how your animal will react to its anxiety medication, you should give it a trial run before using the medicine during a storm. In Oklahoma, severe weather can hit anytime and anywhere. So being prepared is crucial. Ellie and the Elliott Roofing team hope that you’ll use these tips to prepare yourself and keep your furry family members safe during storm season. Tulsa, Oklahoma is known for their deep roots in the oil industry as well as a variety of museums and historical attractions, and now as the home of the brand new Osage Casino and Hotel. Opened to the public in August 2018 after more than ten years of planning and development, the large facility features a 247,000 square foot Las Vegas-style gaming floor, event space, restaurant and bar. Also attached to the casino is a 132 room hotel with a fitness center, pool, and on-site brewery. Expected to be a significant economic boost for the Tulsa community, project managers were eager to get construction completed and revenue flowing. Elliott Roofing, located in Oklahoma City, was contacted by the general contractor to assist with the 171,000 square foot roofing portion of this highly anticipated project. 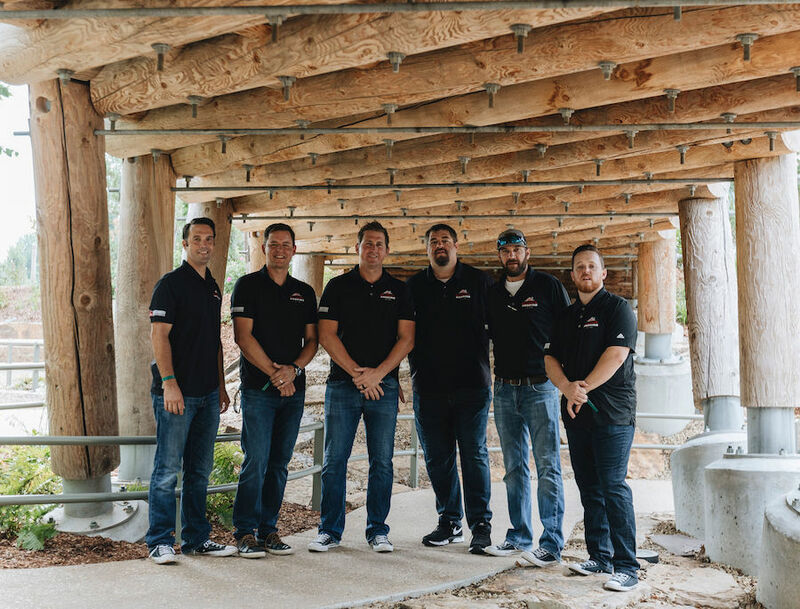 Originally specified as a modified bitumen with an added protective coating when construction was finished, the Elliott Roofing team identified an opportunity for cost savings with the Duro-Last Roofing System and pitched their idea to project leaders. The Elliott Roofing team utilized Duro-Guard ISO and tapered EPS over the fluted metal deck to create adequate drainage, and finished the roof with custom-fabricated Duro-Last 60 mil membrane and accessories. Casino owners also took advantage of their proximity to the Tulsa airport and added a custom-printed rooftop logo available through Duro-Last, providing a unique branding opportunity. Water is a destructive force to be reckoned with and your roof is the first line of defense. When it comes to roof repairs, you want to be sure you’re making the right decision to keep your family safe and dry. While it is tempting to delay repairs or re-roofing, it can be far more costly in the long run. For example, water intrusion into your home can leave unsightly stains on your ceiling, damage your sheetrock, or cause serious structural damage. Knowing where to begin with your roof can be a mind-boggling task. Each decision you make about your roof not only affects the value of your home but also the structural integrity of your whole house. Elliott Roofing recommends that you seek the advice of roofing experts before you undertake any roof repair or replacement project. Can I simply replace damaged shingles? In some cases, it is possible to simply replace damaged shingles. Modern roofing systems and shingles are designed to last for decades. If you’ve lost a few shingles in a windstorm, it is entirely possible that the only repair you’ll need is replacing the lost shingles. Before replacing any shingles, it is imperative to have your roof inspected by a trustworthy roofing professional. A professional inspection will reveal any damage to the underlayment and roof decking or water intrusion into your home. Getting an expert opinion is crucial before making any roofing-related decision. If you have shingles lying around from a previous re-roof, it’s important to note that these shingles may not match the shingles on your roof. Over time, shingles exposed to the elements will start to change color. This means that the shingles you’ve stored in your garage will no longer be the same color as the ones on the roof. Matching shingles is difficult. If your shingle replacement is on a conspicuous part of your roof, it may make potential homebuyers wary. Not only that, a home with mismatched shingles is aesthetically unappealing. 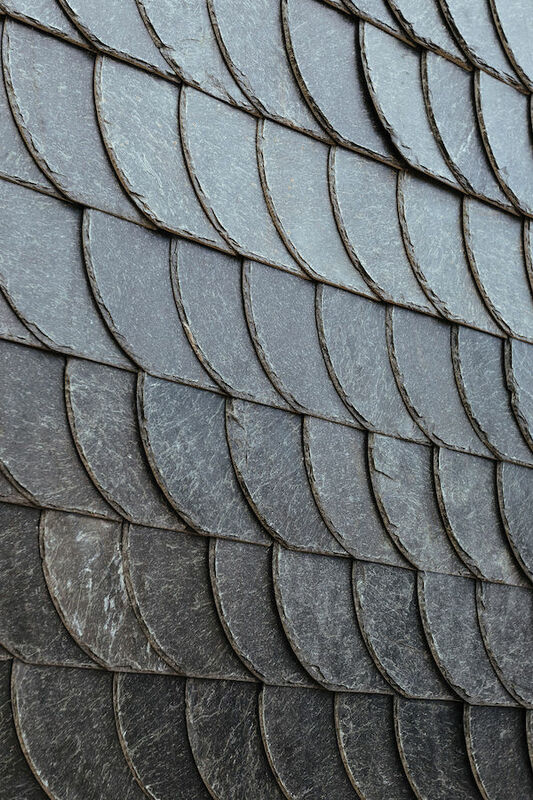 However, if your roof repair is in an inconspicuous place, shingle replacement may be a good option to save you the time, money, and hassle of replacing your entire roof. Can I patch a damaged section of the roof? In many cases, it is possible to repair only specific sections of a roof. This can be a good option. However, patching a roof can not only pose the same problems as replacing damaged shingles, but it can cause a few additional ones, as well. It is imperative to speak with a roofing expert before putting a patch on your roof. A roofing expert will be able to inspect both the exterior decking of your roof as well as your attic to determine if a patch job is viable. A professional is capable of identifying issues that you might miss. If you can patch a section of your roof it is important to make sure your roofing contractor is installing shingles that match the existing shingles on your roof. Matching shingles is difficult. Weather and time take their toll on shingles. Even if you select the same exact shingle as was originally installed on your roof, it may not match. Mismatched shingles, especially if they make up large sections of your roof, can hamper the sale of your home. Can I install a new roof on top of an existing roof? It is tempting, when faced with the cost of a new roof, to try to save money. Replacing a roof is costly and saving money is a huge factor in making decisions; however, we advise that you remove the previous roof before installing another. Some residential codes allow for up to two layers of roofing material on a roof. It is important to check with your city’s building code enforcement agency before planning your roofing project. Installing a new roof over the old will weigh down your roof beyond its capabilities. Not only does adding layers of shingles add structural strain to your roof, but it can also make tracking down the source of leaks much more difficult. A roofing contractor will have to track down the source of your leak through two layers of shingles rather than one. Additionally, shingles perform better and last longer affixed to the roof deck, rather than another layer of shingles. This can lead to the need for repairs or replacement sooner than if you had torn off the original roof. In fact, adding a second layer of shingles on top of another does not cost less in the long run. It only defers the cost to the future. When it comes time to replace the second layer, you’ll end up footing the bill for tearing off not one, but two layers of roofing material. This typically means your cost for tear-off more than doubles. Finally, it is important to note that layering one roof on top of the other often voids the manufacturer’s warranty on your shingles. This could lead to you covering not only the cost of repairs due to manufacturing faults in your shingles but also paying for replacement shingles out of pocket. Knowing when to replace your whole roof can be difficult. However, there are several rules of thumb. If you see signs of water intrusion in your home, this is a major warning sign. Water seeping under your shingles, through your roof deck and into your home can be dangerous, not only to the structural integrity of your home but also to your health. If your roof was damaged in a natural disaster, it may be time to replace your roof. The added benefit of replacing your roof post-disaster is that this replacement may be covered by your homeowners' insurance policy. If your roof is over 15 years old and leaking, it’s time to replace it. The average roof is designed to last between 15-20 years. If your roof is older than that and starts to develop problems, it will be less costly in the long run to replace the roof. When it comes time to replace your roof, consult a residential roofing professional. A roofing expert will be able to guide you through the decision-making process based on their inspection of your roof from both the exterior and interior of your home. A new roof can enhance the beauty, safety, and value of your home. 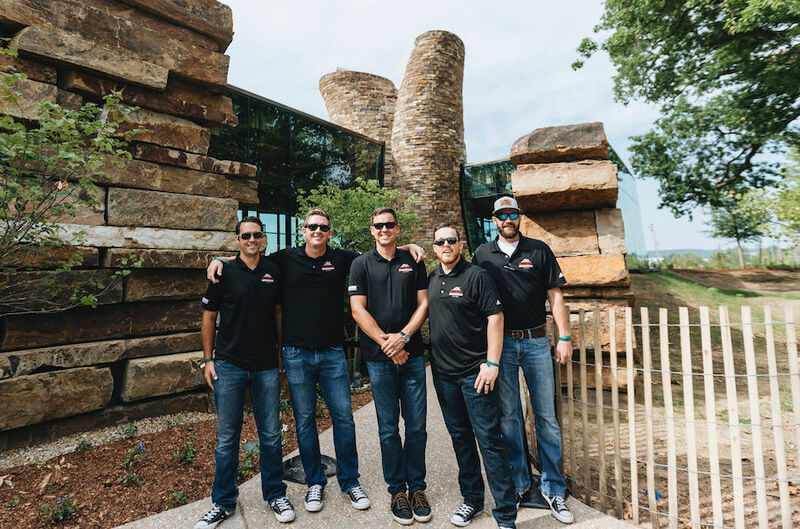 The team at Elliott Roofing are Oklahoma’s leading experts in residential roofing. If you think your roof may need repair or replacement, call or contact us to schedule your free roofing consultation and estimate. When it comes to roofing for your property, there are many factors to consider and choices to make. One of the most important decisions is whether or not to have your roofing hand-nailed or gun-nailed. Technically, neither option is correct or incorrect. Both hand-nailing and gun-nailing are approved by roofing manufacturers. However, each roofer is usually particular about which method they employ to get the job done. It may seem like a tiny detail, but the quality with which nails are placed and driven can have huge consequences not only for your roof but for your property as a whole. So, it’s a crucial consideration that shouldn’t be taken lightly. The nail line on roofing shingles is small. So, there is little room for error. Nails not accurately driven in the proper area can diminish the quality of the roof and cause the manufacturer’s warranty to be void. In addition, nails that have been improperly driven create weaknesses in the integrity of the roof. This can make the roof more vulnerable to leaks and storm damage. Improperly placed nails can cause the shingles to be compromised in high wind conditions. Driving nails with a nail gun can prove to be less than ideal. Gun-nailing has the potential to be less accurate. The condition of nails can be damaged by gun-nailing. The depth of the nails may not be flush when a nail gun is used. Gun-nailing can result in nails being over-driven (too deep into the roof) or under-driven (not flush with the shingle). Inexperienced roofers and/or nail guns that are not kept up to proper specifications can produce poor roofing results. These factors can affect the accuracy, straightness and depth of nails. A highly skilled roofer using a hammer can achieve consistency and quality. Unlike gun-nailing, hammering can avoid the inconsistencies from inexperienced roofers with shoddy nail guns. Using a hammer, contractors have the ability to actually feel if the nails they’re driving are catching the wood. This ensures the nails are properly placed and secured. The likelihood of crooked, damaged, over-driven and under-driven nails are diminished with hand-nailing. Finally, since errors are less likely, the amount of time it takes to complete a roofing project can be cut considerably with hand-nailing. Fewer mistakes mean the faster your project is completed. That leaves more time for you to enjoy the comfort and protection of your new or repaired roof. It also means you won’t break the bank with unnecessary costs to fix things that should’ve been done right the first time. Elliott Roofing is committed to delivering you a great roof by providing quality workmanship. We take pride in the craftsmanship of every roofing project. That is why we exclusively utilize hand-nailing for our roofing projects. We stand by this choice with our exclusive warranties, ensuring the conditions of our roofs are next to none. 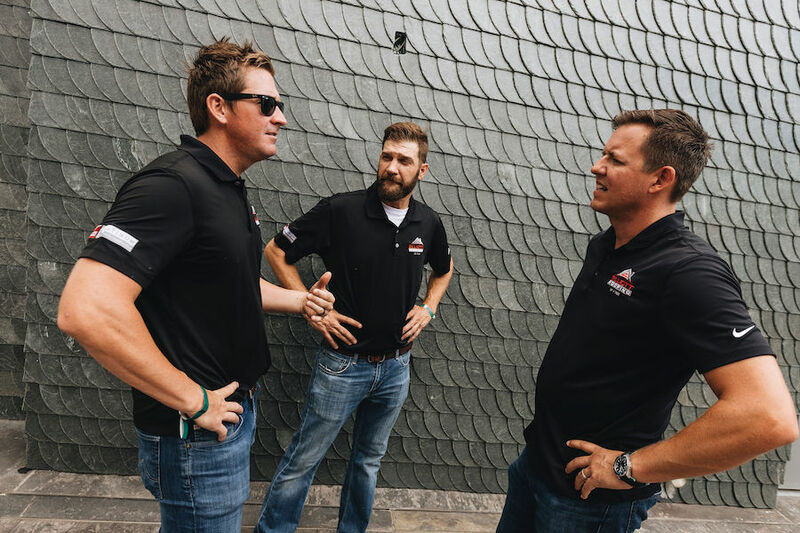 If you have any questions about hand-nailing versus gun-nailing, other roofing methods or roofing options, give us a call today – we would love to answer any and all of your roofing questions. I’m an expert on gift giving and knowing who’s naughty or nice, and I’m also a pretty accomplished connoisseur of cookies and milk. What the Elf on the Shelf probably didn’t tell you is that I know just about everything there is to know about roofing. If there was a gold medal, a Nobel Prize, a Ph. D. and a Guinness World Record for landing on roofs, I’d have ‘em all! I’ve seen every kind of roof there is. I’ve landed on asphalt roofs, metal roofs, tiled roofs. I’ve even parked the ole sleigh on some grass roofs. Not to blow my horn here, but when you’re carrying as much weight as I am, that’s nothing to stick your nose up at. The reason I’m taking time out of my insanely busy holiday schedule to write this blog for Elliott Roofing is because their roofs always make my Christmas Eve a merry one. The only thing worse than a home with no chimney is a home with a dicey roof. In the winter time, it’s especially important that your home’s roof is dependable. You don’t want ice, snow or me and nine reindeer installing some accidental skylights in your home. Now, I know what you’re thinking. You’re thinking, if I was so concerned about falling through a roof, why don’t I lose some weight? Well, you and Mrs. Claus will be happy to know that adding exercise and a healthy diet to my daily routine is my New Year’s resolution for 2019. And even though that’s been my unfulfilled resolution for the last 1,000 years, I’m really going to do it this year! So, ho-ho-hold the jokes. Roofs are no laughing matter. An eternity spent landing on people’s roofs at super-sonic speed has taught me you can’t get anything better than impact resistant shingles. If you want to keep me and my sleigh out of your living room, impact resistant shingles are truly the gift that keeps on giving. With the help of fiberglass, these shingles are able to withstand hail, 110-130 mph winds and yours truly crashing through your ceiling. And there’s no better company to make your roof impact resistant than Elliott Roofing. I’ll always stand by and stand on an Elliott Roof. So make this Christmas a merry one for you, and more importantly me, with Elliott Roofing. Roof ventilation is something that can benefit your home in all seasons and can be a critical addition to the build. Roof ventilation is a key factor in the life of your roof. There is a lot of information out there on the subject – so let us break it down for you. There are many reasons roof ventilation is important. One of the main benefits of roof ventilation is expelling the hot air that builds up in the attic. Venting helps keep the temperature at a moderate level in the attic, allowing the air conditioning unit to cool the home more efficiently. This keeps your house cooler in the summer – which is something that all Oklahomans can appreciate. Another reason for ventilating the roof is to prevent moisture from building up in the attic. All homes produce large amounts of moisture into the air. Moisture comes from showers, sinks, bathrooms, washing machines and many other sources. Without proper ventilation, trapped moisture in the attic can lead to mold. Excessive moisture caused by poor roof ventilation and attic insulation can deteriorate your entire roofing system from the decking and supports to the underlayment and shingles. Without proper ventilation asphalt shingles may develop cracks, blisters, and premature granule loss. Proper ventilation in the roof can help prevent issues such as ice dams that can develop on the eaves and valleys of roofs. The water that backs up behind an ice dam can leak into a home and cause damage to walls, ceilings, insulation, and other areas. A balanced ventilation system is very important. Roof top ventilation is there to expel air and moisture but cannot operate properly without intake ventilation. Intake ventilation usually come from soffit vents but can also be achieved with eave/edge vents. Our roofing professionals will help ensure you have a working and balanced ventilation system. There are many types of roof top ventilation and the size and design of your house will contribute to the decision to choose one type over the others. We can help you choose the right ventilation for your home. Traditional box vents and wind turbines are widely used and can ventilate properly but are limited to how much air they allow to exhaust. Many times homes with these types of vents do not have enough vents. Ridge vents are a great option to help ventilate your attic. They are installed at the very top of your roof and let the air circulate out of the attic naturally. If your home design allows for ridge vent it can a very effective type of ventilation. Another great option for proper attic ventilation is having a roof top solar fan installed. There are many roof ventilation fans on the market, but we recommend Remington Solar Attic Fans. Remington offers the best warranty in the business and some of their products qualify for tax credits. They also have an installation option to hardwire the fan into your home’s electrical system for days when the sun isn’t shining. If you have questions about ventilating your roof, give us a call – we can answer any and all questions that you may have about your roof. October is Breast Cancer Awareness Month – a time we at Elliott Roofing hold near and dear to our hearts. We know all too well the effects breast cancer can have on people’s lives, from our blood relatives to our work family. Jonie, one of our longest-tenured employees, is a breast cancer survivor. Jonie has been with Elliott for 11 years and is one grandchild away from being able to field an entire baseball team. She may be small, but she’s not afraid to lay down the law – keeping us in line when we’d rather be practicing our backflips off of our truck tailgates. Working in administration, Jonie makes sure we’re fine-tuned and focused. Fortunately, Jonie’s story is one with a happy ending, which gives her the opportunity every October to reflect on her five-year journey with breast cancer. Owners Matt and Holly Case also have been affected by breast cancer in their personal lives. Matt’s grandmother succumbed to breast cancer in 1984, and his aunts are survivors. Holly’s sister-in-law died from the disease in 2002. The void left by those we’ve lost constantly reminds us to count our blessings and remain thankful for the ones who are still with us. To honor Jonie, our families and others who’ve felt the impact of breast cancer firsthand, Elliott Roofing will be donating $100 of each reroof contract we sign in October to the Breast Cancer Research Foundation. We believe in the value of giving back, especially when we have the opportunity to support a worthy cause that helps those closest to us. It is a joy and privilege for us to help in any way we can! If you’d like to show your support for breast cancer awareness, visit this page to learn more. Good news for businesses considering commercial reroofs: A new tax law now allows businesses to fully expense a roof up to $1 million in a single year! Previously, roofs had to be expensed slowly over time via depreciation, but thanks to Section 179 of the Tax Cuts and Jobs Act – which broadens the parameters of “qualified real property” to include nonresidential roofing improvements – business owners can immediately expense the cost of commercial roofing projects starting this year. That means a quicker, easier process with simpler budgetary and tax considerations. The new law also could lead to an influx of reroofing contracts, which means business owners looking to take advantage of the new law should act now before the rush. If your commercial roof needs to be replaced, call Elliott Roofing today at 405-789-4646 in Oklahoma City or 918-524-4646 in Tulsa. 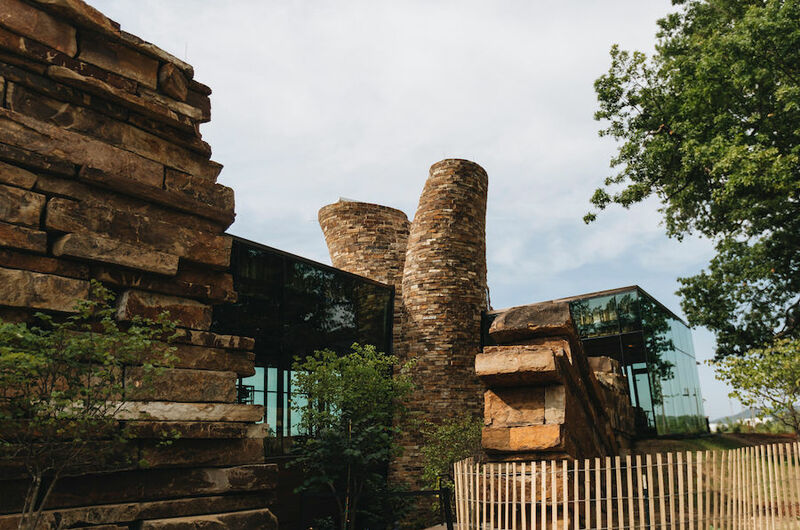 Unless you live under a rock, you’re probably aware of Tulsa’s latest crown jewel: Gathering Place. 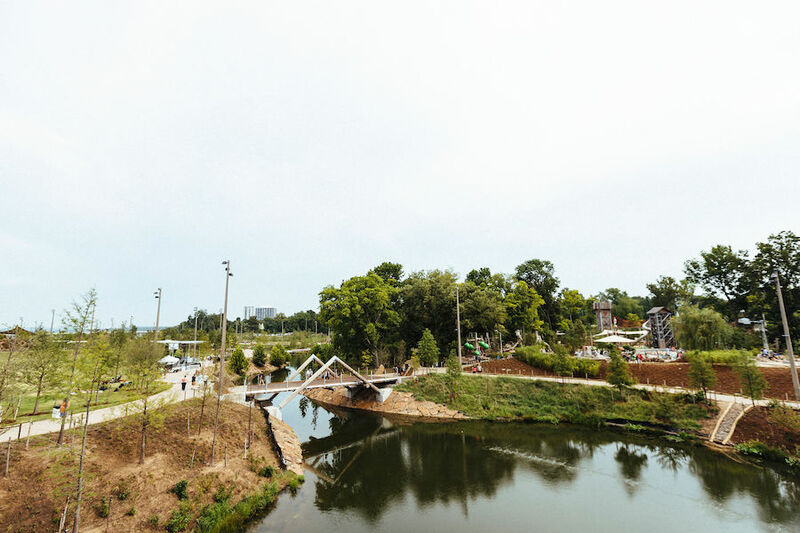 The privately funded park in Tulsa’s Riverside district will host a 100 Days of Opening Celebration, beginning Sept. 8 with a free concert headlined by The Roots. We’re thrilled for the park’s public debut and even more grateful for the opportunity we had to contribute to such an amazing piece of community collaboration. We first became involved with the Gathering Place in the fall of 2015, when we were asked for help producing a roofing bid. From there, the project took on a life of its own, pushing us outside of our comfort zone and inspiring us to create something truly special. From purchasing materials and importing from other countries, to engineering and installing pieces that weren’t prefabricated, to just navigating such an enormous job site, each step of the project tested us. But, the team stepped up and grew like a family to see it through. 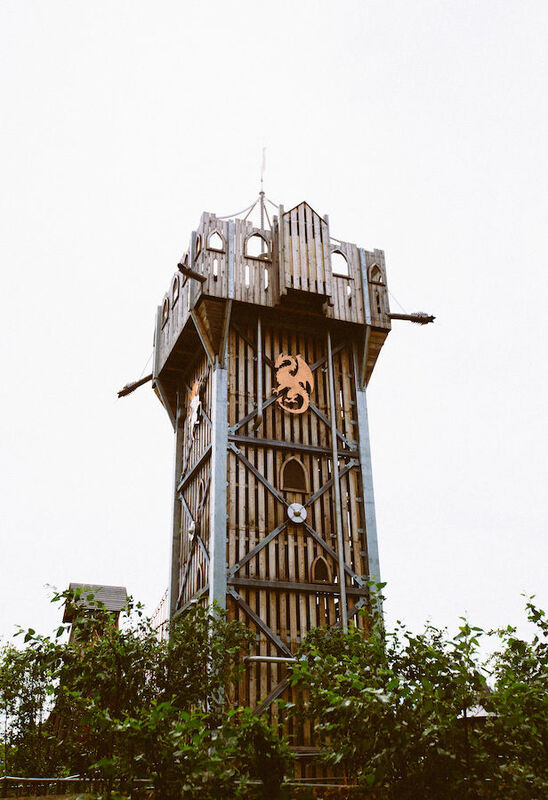 If you have a chance to make it to the park, you can see our work for yourself. We were proud, humbled and grateful for the opportunity to take the job on – and all things considered, we think it turned it out pretty well! Customers are the heartbeat of our business. 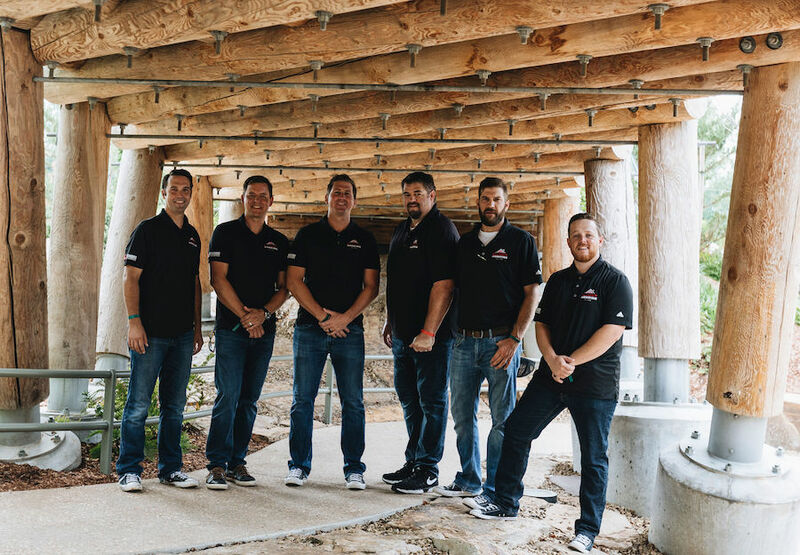 When our service team is on a job, the customer is trusting Elliott Roofing to protect their property and family with quality materials and workmanship – tasks that we don’t take lightly. All of Elliott’s work stems from our core values. We are D.E.V.O.T.E.D. to our customers and team: Diligent, Ethical, Valued, Original, Trustworthy, Efficient, and Driven. Don’t just take our word for it! Occasionally, we’re blessed to receive feedback and reviews from our customers that help elevate our current and future roofing projects. 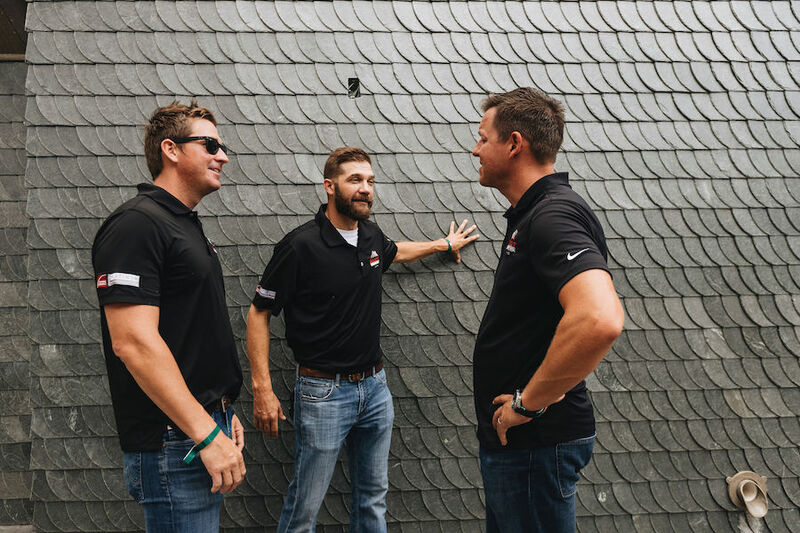 In the video below, you’ll hear from a family that trusted us with their roof and how the experience led to a long-term relationship with Elliott Roofing. For more reviews on our team and customer service, search “Elliott Roofing” on Google and Facebook. 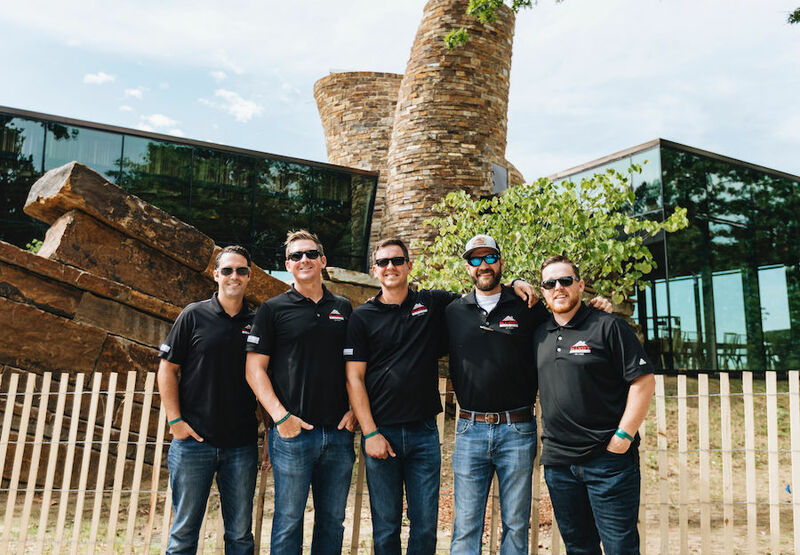 If you’re looking for a roofer you can trust, connect with us today in Oklahoma City (405-789-4646) or Tulsa (918-524-4646). “Oklahoma, where the wind comes sweeping down the plain!” What other states might consider gale-force winds, Oklahomans feel as a light breeze. While the “breeze” sure is nice on a hot summer day, it is always good to consider how wind can damage your roofing system. You can expect your roofing system to withstand a reasonable amount of wind over time, with the exception of events like tornados and other natural disasters. There are two different types of wind that can hit your roof: positive pressure (pushing) and negative pressure (suction). The stronger the winds, the more stress points it creates in your roofing system. The shape of your roof and type of pressure, positive or negative, depends on where the wind will do the most damage. The corners and edges of your roof incur the most damage when wind starts actually moving the roofing materials. Once the materials become loose, it’s easy for wind to suction the shingles up, allowing for the next gust of positive pressure to push the shingle up and off the roof. This leaves your underlayment exposed to rain and the area around the lifted materials vulnerable to being lifted themselves. Wind damage may start small with the removal of a single shingle but will increase in severity over time causing a peeling effect on the roof. Even more damaging than wind itself can be wind-blown debris. Check out these steps for inspecting your property for wind damage after high winds and how to take precautions. After strong winds come through your area, check your yard for shingle debris and look for damaged shingles still attached to your roof (look for curling, cracking or tearing). Wind can also do damage to roof accessories like chimneys, gutters, flashings, ventilation pipes and the underlayment if it becomes exposed. 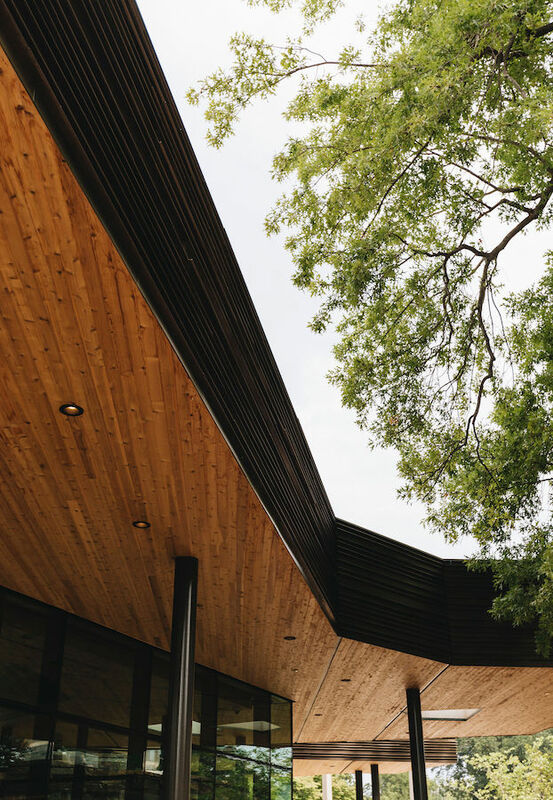 Large trees that are next to your home, especially trees with branches that hang over your roof can be especially problematic with gusting winds. The branches’ damage can intensify with high winds causing scrapes or even gouge the roof’s surface. Watch out for tree debris blown onto your roof like pine needles and leaves. Debris that accumulates on your roof can trap moisture and, if left too long, it can cause rot or deterioration in the shingles and roof deck. Gutters tend to fill with windblown leaves and other debris during storms. If left to accumulate, gutters become blocked and can cause water to collect on your roof leading to damage to the underlayment, staining and even foundation issues. Make sure to clear gutters of debris often and check that rainwater is flowing off your roof properly. It is always best to schedule an inspection before storm season rolls around to make sure your roofing materials are secure, but if you find your roof is leaking consistently after rainfall, schedule an inspection right away. Besides the obvious sign of noticeable water dripping into your home, other signs of a roof leak include staining on the ceiling or walls and missing or damaged shingles. However, it’s important to know that after a heavy, blustery rain storm, sometimes roofs can be affected by wind-driven rains. Roofs are designed to shed water that comes in vertically. Wind-driven rain blows horizontally with help from the wind, penetrating crevices under your shingles and in your roofing system that are impossible to predict. Wind-driven rain must enter your roofing system at the perfect angle, but it is not necessarily a cause of roofing concern. Not sure if your leaking roof is related to wind-driven rains or a true roofing concern? Don’t worry – our team of experts is always happy to help you identify the cause of your roof leaks. Call your local roofer to replace what might look like minor damage to you as soon as possible to avoid a total roof replacement in the future. It’s best not to give the next wind event easy access! For your own safety and to avoid damaging the roof further, we never recommend that you climb onto your roof to do an inspection, so call in the experts at Elliott Roofing. During an inspection, our staff will look for damage from wind on your shingles and accessories, wind-blown debris and identify what might be causing any leaks. Estimates are always complimentary at Elliott Roofing, so you can put your dollars into what matters most: the safety and security of your family with a stable roof over your heads. Our metal accessories come with soldered corners, joints and seams to ensure maximum leak protection. There are so many products available to you and it can be confusing to know which materials can stand up to Mother Nature and Father Time. For questions about roofing materials, contact our knowledgeable and friendly sales team at (800) 573–8388 or send us a message. After a big storm hits, Oklahoma is a prime target for fly-by-night roofers (we call them “Chuck in a truck”). These salesmen are easy to spot. Fly-by-night roofers knock door-to-door offering quick repairs at inexpensive rates, typically lack a professional online presence and have no proof of insurance, licensing or bonding. Don’t be fooled by a door-to-door scam! Call Elliott Roofing first if you experience storm damage. We’re always here when you need us, not when you don’t. Let’s jump back to 1988, a year filled with denim outfits, U2 and when gas was a mere $0.91/gallon. Elliott Roofing was a fairly young company, just seven years old to be exact. We were busy proving our skills and quality of service to the citizens of Oklahoma. A sweet couple, Mr. and Mrs. Smith, hired us to replace the roof on their Oklahoma City home. Having never used us before, the Smiths took a chance on Elliott Roofing. Little did anyone know, the Smiths found their roofing company for life. Fast forward to 2018. Our residential roofing team schedules an inspection on an Oklahoma City home for a Mr. and Mrs. Smith. When our estimator, Bryan, arrived he was greeted by this same sweet couple who presented him with an Elliott Roofing contract straight out of the 80s. Bryan was captivated with their story and enjoyed hearing about their experience all those years ago. After all this time, we were absolutely thrilled to hear that the Smiths had such a great experience decades ago and that they chose Elliott Roofing to serve them again. “Previous customers are the cornerstone of our business. Earning the trust of a homeowner and gaining the opportunity to serve them over the years is our ultimate goal. We strive to become our customers’ roofer for life. We are so pleased that the Smiths have found that in us,” said Matt Case, managing partner of Elliott Roofing. After seeing our joy in the nostalgia – they even gifted us our old contract to hold onto. Once our entire team heard the Smith’s story and saw the contract and old logo, we knew we had to commemorate this experience. So, we created throwback t-shirts for our team with old school Elliott Roofing branding. 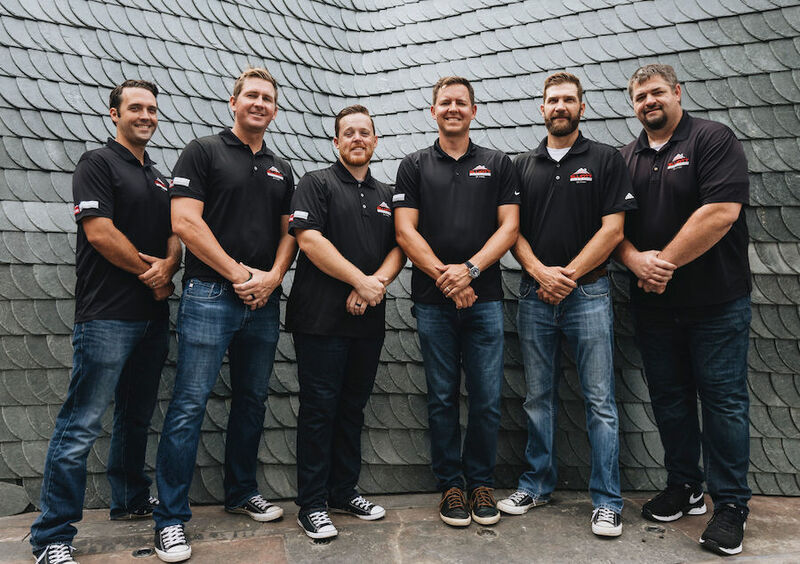 With now more than 37 years of experience, fair pricing, and professionalism, Elliott Roofing continues be “The Quality Choice.” What a fun story this has been for our team to share! Filing an insurance claim after a damaging storm can be stressful, especially figuring out where to start. With our years of experience working with insurance companies and roof damage, Elliott Roofing can guide you through the claim process. Read our blog to learn how to react after a storm comes through. Before calling your insurance company to file a claim, we recommend having Elliott Roofing perform a free inspection. We can ensure if the damage is severe enough to warrant a claim before you get too far in the process. We have years of experience working with insurance claims and damaged roofs; utilize us! We will start with an initial inspection to verify whether there is damage. If we find enough damage to proceed with an insurance claim, we can act as your liaison and help process the claim with the insurance company. In order to file a claim, most insurance companies will require documentation from a professional. After our initial inspection, we will provide a written damage assessment outlining the extent of the damage and necessary repairs. In some cases, your roof may experience severe damage that must be dealt with sooner rather than later. We can apply emergency roof tarping to prevent any further damage while waiting on the claim to be processed. Elliott Roofing is here to help throughout every stage of your roofing process. Call us to schedule a free inspection. We’ve all been there. A big storm hits your area and suddenly you’re bombarded with direct mail advertisements and the dreaded door-to-door salesmen. We call these salesmen “fly-by-night roofers” because they’re notorious for coming into an area after a storm, knocking door-to-door, offering quick and often inexpensive roof repairs or reroofs, and leaving without providing valid contact information in case you need to redeem your warranty in the future. Before hiring a roofing company, check to make sure they have a professional website and online reviews. If they lack an online presence, they are probably not reputable. After a hail storm or natural disaster, local roofing companies will be busy and may have to put you on a waiting list. Don’t worry – that is actually a good sign. If a company has so many local and loyal customers that they can’t get to you right away, that means they are likely a reputable roofing company. Fly-by-night roofers will promise quick turnaround times and come knocking before you’ve had a chance to do your research. When a roofing company comes to inspect your roof, they should present you with a formal estimate outlining the scope of work and breakdown of cost. Be wary of any company that wants to start work before they have a signed estimate or contract. A reputable roofing company should not ask you to pay anything in advance. Avoid paying a company before the work is completed. If you pay upfront, there is no obligation for a fly-by-night roofer to finish the work. For your protection, it is extremely important that you hire a roofing company that is insured, licensed and bonded. In Oklahoma, roofing contractors are also required to be registered with the Construction Industries Board. Be sure to ask the company if they are registered, licensed, carry workers’ compensation and general liability insurance, and are bonded. If you are skeptical, ask for proof. Better yet – check for yourself at the Construction Industry Board Website. You can search a contractor’s good standing by business name or by company owner. It is always best to hire local. If you hire an out-of-state company, they are likely going back to their home state after the storm repairs are finished and they are paid. This means they will be long gone when you need help addressing warranty issues or damages. At Elliott Roofing, we will always be upfront and honest about our work, and you can trust that we will be around when you need us. Get ahead of storm season and call us today for a free roof inspection and estimate. By Oklahoma law, a roofing contractor is required to be registered with the Construction Industries Board. 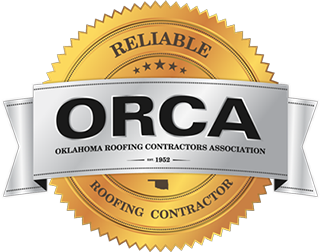 Every Oklahoma licensed roofing contractor will be assigned a unique number and issued proper documentation. They should also have workers’ compensation and general liability insurance. Before considering a roofing company, be sure to ask if they have the proper licensing and insurance. You can even ask for proof of these important credentials. You always want to see that the roofing contractor is bonded for your protection. A bond, also known as a surety bond, is a legal contract that protects one party against monetary loss if the second party fails to perform the agreed task. That means that as the owner of a property, you are protected should your roofing professional fail to fulfill the terms of the contract you agreed upon. It is always best to have a detailed estimate that breaks down the scope of work. When you receive an estimate from a roofing contractor, look for items such as type of shingles, shingle accessories, details referring to the included warranty and the procedure of the roof installation. After you have looked over the estimate and have all of your questions answered, it is time to sign the contract. A reputable contractor will never make you feel pressured to sign anything until you feel comfortable. During the roofing process, it is important that you have a clear line of communication with the roofing company. When talking to roofing contractors, ask who will be the point of contact overseeing your project. Ideally, a project manager will be assigned to your job and contact you before the job begins. The project manager should clearly explain what to expect during the construction process and share their contact information for any further questions or concerns. Out-of-state credentials. Hire local professionals to protect your warranty. Roofers with out-of-state credentials might leave before completing a project and will be long gone after their work is done, meaning no one will be around to address warranty issues. 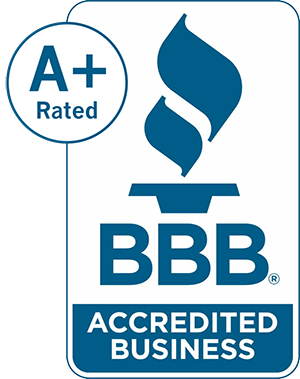 At Elliott Roofing, we will always be transparent in our work and treat each customer with integrity. Call us today for a free roofing inspection and estimate! 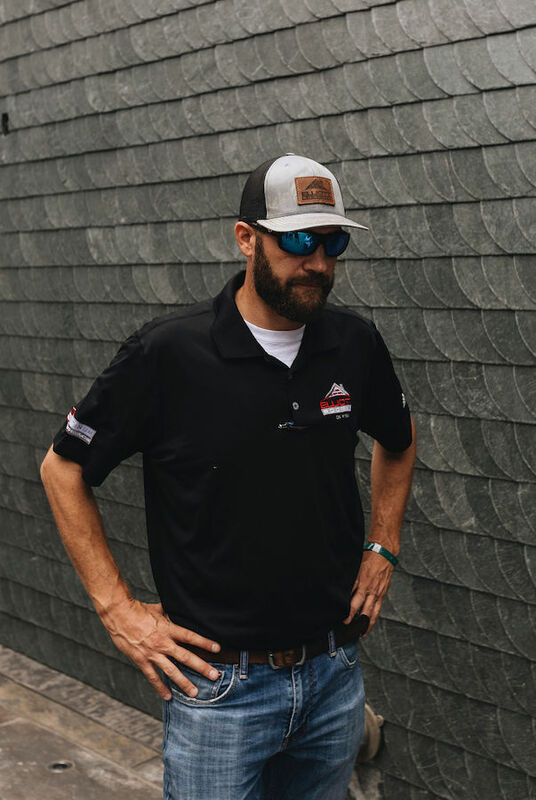 When you call Elliott Roofing, chances are that you will be greeted with the sweet voice of our beloved team member, Jonie. We sat down with Jonie to learn a little more about her and her passion for Elliott Roofing. Learn more about our office administrator below. 1. WHAT IS YOUR ROLE AT ELLIOTT ROOFING? I am the office administrator at Elliott Roofing. Typically, I am the first person at our office to interact with customers and help guide them to the right person based on their needs. 2. WHAT DOES YOUR DAY-TO-DAY LOOK LIKE? My day consists of talking to customers, answering questions and overseeing our accounts receivable and billing. I also oversee most company operations and administrative tasks, allowing me to work with the whole team. 3. WHAT ARE YOU MOST PASSIONATE ABOUT IN YOUR JOB? I love that our company values the Golden Rule: treating others the way you want to be treated, both with our team and our customers. 4. WHAT IS YOUR FAVORITE PART OF WORKING AT ELLIOTT ROOFING? My favorite part of working here is the team of people I get to work with. 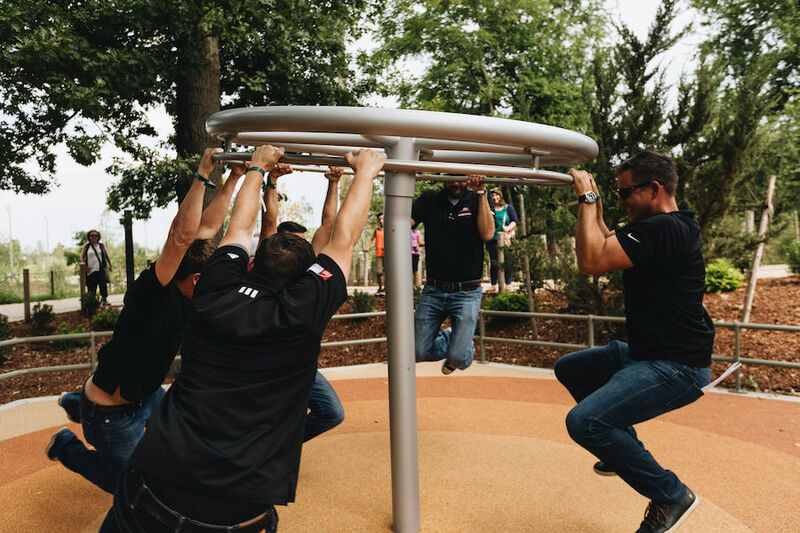 We all support one another, help each other out when needed and strive to make Elliott Roofing a fun place to work. 5. WHAT IS ONE OF YOUR FAVORITE ELLIOTT ROOFING STORIES? Elliott Roofing gives back to our community and our customers when possible. We recently decided to show a token of our appreciation to one of our customers, an active member of the military stationed overseas. We decided to express our gratitude for his service to our country by waiving his remaining balance due. Our company’s initiative to give back is one of my favorite aspects about Elliott Roofing. 6. HOW DID YOU GET INTO THE ROOFING BUSINESS? I landed at Elliott Roofing by happenstance. My previous employer was closing and a friend told me that Elliott Roofing was hiring and that it was a great place to work—they were right! 7. WHAT KEEPS YOU BUSY OUTSIDE OF WORK? My grandkids keep me busy with basketball and soccer games. 8. WHAT DO YOU LOVE ABOUT OKLAHOMA? Oklahoma is home. It’s where family and friends are. I lived out of state for a few years, and it was nice, but it wasn’t home. Home is where your heart is, and my heart will always be here. OUR TEAM TRULY VALUES JONIE AND ALL THAT SHE DOES FOR ELLIOTT ROOFING! WE ASKED THE TEAM TO SHARE THEIR EXPERIENCES WITH JONIE AND HOW SHE IMPACTS THE OFFICE. Commercial roofs come in all shapes and sizes. Between roof repairs, reroofs or new construction, Elliott Roofing can help you with it all. 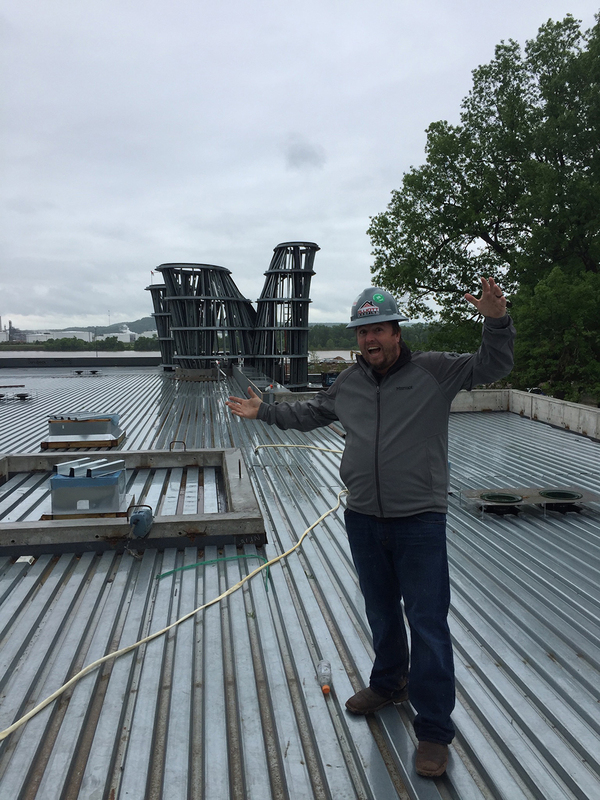 Here are a few things you should know about our commercial roofing services! Paul Stowe is our commercial estimator. He receives invitations to bid projects and he pinpoints the projects that are the best fit for our company. When Paul is creating a bid, he looks at the specifications, scope of work, measurements and material costs to calculate the budget. Josh Benson is our commercial production and quality assurance manager. Once we are awarded a new commercial project, Josh meets with Paul to discuss the scope of the project and any specific requests from the contractor. Josh takes the lead on the project, organizes the crew, manages materials, schedules and communicates with all necessary players. Josh oversees the project from beginning to end. The Oklahoma Construction Industries Board (CIB) commercial endorsement is awarded to roofing companies that pass a test covering business law and commercial roofing application and technique. We encourage all property owners and general contractors to do their research before hiring a roofing contractor for their commercial project. It is against the law in Oklahoma for a company to roof a commercial development without this endorsement. Hiring an unendorsed roofer could cause delays and fines if caught by the CIB. Elliott Roofing is proudly endorsed by the CIB! All new roofing projects start with a hard bid. If the general contractor accepts our bid, we will typically start our installation after the framing has been completed. After the roof is installed, we wait until the exterior finishes are applied to finish perimeter details, such as metal edging or coping caps. After the work is complete, a manufacture inspection is done if extended warranties are applied. We work on all sizes and types of commercial roofing systems, although we particularly enjoy Thermoplastic Polyolefin (TPO), Polyvinyl Chloride (PVC) and metal roofing projects. There are no jobs too big or small for us. We have worked on some of the largest developments in Oklahoma, but we will also come to repair a single shingle. Each roof is different, but single-ply and metal roofing systems seem to be a trend right now. Flat commercial roofs should last up to 20 years under normal weather conditions. A 20-year manufacturer warranty is very common. If you already have an established business, we know the importance of getting a construction job finished quickly, efficiently and effectively. Our crews install new roofs with minimal disruption to businesses and their customers. It is very rare that a business would need to close during the roofing process. We have roofed a number of commercial projects including fast food restaurants, gas stations, hotels and apartment complexes. 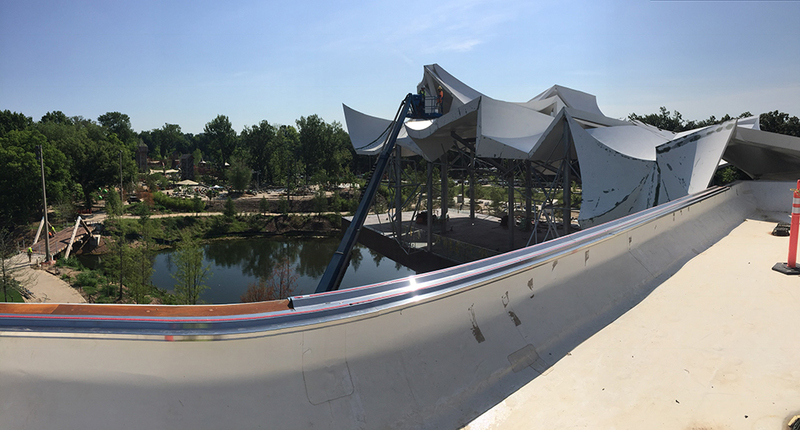 One of the more specialized roofs we are currently working on is Tulsa’s Gathering Place. This project will feature materials never seen in Oklahoma and exquisite panel details. We thoroughly enjoy new and different projects. Commercial roofing projects can be extensive and time-consuming, so it is very important that we maintain an open line of communication with the general contractor and any other key people involved in the project. We want to ensure our customers are informed of our progress or any issues we could run into. Good news or bad, we communicate it all.